There is nothing more enjoyable than eating breakfast and watching birds flutter and dance outside the kitchen window on a snowy morning. Unfortunately, while children often wonder at the birds and wish to take part in helping to feed them, there is rarely anything a child can do to help. Here are a couple of suggestions to help them get involved and to let them make their own special bird feeders. With a string of yarn, a straw, and some Cheerios, even small children can help create these fun bird feeders. Take the yarn (about 24 inches works well) and tie it around the middle of the straw. This will provide a base, allowing your child to thread the yarn through the cereal, not only making an effective bird feeder, but helping develop motor skills. When they have threaded the cereal up to the top, carefully hold the top of the string and then untie the bottom from the straw. Knot the two of these ends together, forming a circlet of cereal, which can be hung outside as a great bird snack. This can also be done using different colored fruit cereals, helping your child with repetitive pattern exercises. Letting your child become more involved in tasks like this, not only helps them learn but gives them a sense of responsibility as well. Have them keep track of how long it takes for their homemade bird feeders, so they know when it will be time to make more. Have them make charts or draw pictures of what kinds of birds come to their feeders and let them look through books, to identify who their new feathered friends are. Not only will the birds thank you, but your kids will have a great time too. I promise to use it only to send you Preschool Sparks. PAGE PROTECTED BY COPYSCAPE. Do not copy. 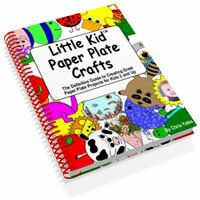 © Copyright 2016 Create-Kids-Crafts.com All rights reserved. Want some more ideas for fun theme related monthly crafts for preschool kids? Sign up for my free monthly ezine Preschool Sparks. 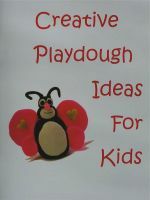 Creative Playdough Ideas for Kids is a 32 page e-book that is downloadable in PDF format, and provides simple, step by step instructions for a variety of creations with full color photos throughout. Playdough creations include cat, turtle, lion, snail, pig, snowman, snake, two rose methods, daisy, daffodil, ladybug, faces, cup and saucer, a heart of flowers, fruit and butterfly. ABC Fun & 1-2-3 is a preschool programme that gives you alphabet-based activities each week, alphabet crafts, alphabetized nursery rhymes, number and counting activities, as well as a list of recommended, quality children's stories to read aloud together as you and your children adventure through the alphabet, one letter per week. All the hard work and planning is done for you - for less than $1 per week, you just open up the book and start the A-B-C fun!